Admission to the Preparatory Year will be 32 UCAS points. The University Campus considers each application on its own merits, and does consider alternative experience and qualifications for entry onto degree programmes. The Preparatory start year offers students the opportunity to develop academic skills and areas of professional knowledge to support the transition to the full BA (Hons) or other appropriate courses such as FdA Children and Young People to those applicants who may not meet the full degree entry requirements. The Preparatory year is also a time to achieve Maths GCSE at grade C or above and English GCSE grade C or above whilst studying if either or both have not yet been achieved. Transition to the BA (Hons) Early Years or the FdA Children and Young People will rely on a PASS and guidance will be offered to each student to ensure transition to a course is available that meets each students needs and aspirations. DBS check and process organised by the university during enrolment, registration and induction. DBS clearance will need to be achieved before any work placement can begin. The DBS will be paid for by the applicant. It will be desirable that applicants are able to demonstrate appropriate personal qualities and attitudes for working with young children and their families. An interview or applicant day attendance will be expected before an offer is made. Non-standard applicants may be considered for entry without meeting all the admissions requirements and must demonstrate during interview that they have sufficient general academic skills to be able to undertake the course with relevant experience related to work with young children and young people and their families in the community. BA (Hons) Early Years (after successful completion of the 4 year programme) validated by Sheffield Hallam University. If you do not meet the requirements for the three year honours degrees, you should consider this option. The Preparatory year is designed for students who may not have all the required grades/entry requirements for the traditional degree course. The Preparatory year is designed to give you the skills, knowledge and grounding to get the most from higher education. 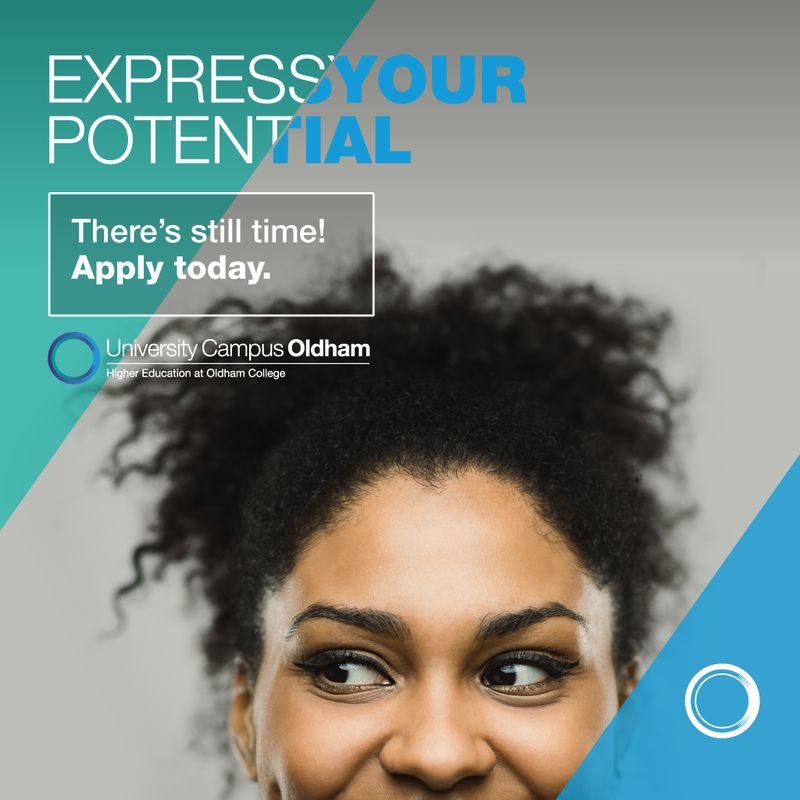 Through the mix of modules taken in this year you will gain confidence, develop new skills, and gain knowledge which will give you the essential preparation for success in your chosen degree. This module aims to raise students’ awareness of the standards required for academic study and professional work and focuses their attention on professional and academic communication skills. It ensures that all students, whatever their prior experience of academic work, understand the nature of, and have the opportunity to practise, the production of academic and professional writing to an appropriate standard. It ensures that students know how to search for and evaluate information and that they can access from a range of sources. This module aims to raise awareness of current legislation, policies and procedures which exists to promote children and young people’s rights and keep them safe from harm. It emphasises the qualities required by the practitioner to work alongside families and other professionals to protect children. This module aims to develop an awareness and understanding of how children and young children learn and develop. Students will explore theoretical approaches in child learning and development and identify factors affecting learning and development. They will become aware of assessment techniques and ethical principles. This module introduces the student to contemporary issues associated with inequality and highlight the importance of considering not only the need for inclusion, but also of reflecting on and clarifying what we mean by related concepts such as equality, diversity and inclusion. The module aims to help students question how we develop our understanding of these concepts and to think about transforming our own practice to develop inclusive practice and address issues relating to inequality. This module provides the opportunity to develop skills relating to the presentation, research and production of a project Students will be identify their project remit, review research and findings, make presentations on their progress and produce an extended report or essay to the deadline. The module aims to examine the theory, principles and practice of working with individuals and with groups and considers a range of models appropriate for use by Early Years. Students analyse group interaction and apply appropriate theory to a project where the group has worked together. Students reflect on their experience and consider their own role, their skills and qualities in the group context. This module aims to explore a range of international perspectives on the contemporary experience of childhood. The diversity of global experiences of childhood will be explored in the context of international policy on child rights. Differences in approaches to early years education will be explored, and the social, economic, political and cultural context for those differences will be discussed. The module will focus on the experiences of children in formal and informal social systems, and will identify trends in international policy relating to child development. Throughout the final 3 years of the course there is an emphasis on professional learning in the workplace. Students will take part in professional practice that is linked to 40 credit modules in year 2 and 3 of the programme a research placement is required in year 4. Work placement is an essential element that runs through the final 3 levels of the programme. All students will complete a DBS clearance prior to entry on to year 2, and this will enable them to fulfil the requirements of professional practice. Students will be supported on placement by a team of experienced tutors. Relationships within settings will be maintained and developed through mentorship roles in settings, a specific handbook will support students during their placement experience. Students will have at least one visit per year (years 2-4) from their tutor whilst on placement where their practice is observed and guidance in meeting the professional standards is offered. Shadow visits will help enhance practice skills and develop students experience and knowledge of the sector and its requirements. In year 2 and 3 students will be achieving the skills that are required to demonstrate the achievement of the standards from the National College of Teaching and Leadership (2013). This ensures that students and the course meets Early Years Educator criteria and the requirements of the qualification framework. The acquisition of knowledge is achieved through tutor led input such as interactive lectures, seminars and groups work. The design of the Teaching and Learning approaches used across this programme incrementally builds from basic skills and knowledge acquisition to developing deeper understanding and application of the key topics, themes and content. Applying the theory and knowledge learnt to practical situations and developing academic research skills and methods. Students’ achievement and progress is supported by the teaching team through interventions at key transition points within each level, e.g. through tutorials, workshops and also by input from Academic Skills Lecturers. By employing a variety of teaching delivery methods the needs and learning styles of each student are addressed.